IMPORTANT NOTE FOR INTERNATIONAL BUYERS (EXCEPT CANADA*): Our webstore cannot calculated specific shipping costs for international buyers, therefore we charge a flat rate of USD$60 and we will reimburse any unused shipping when your order is processed. OR you can also email us at sipsdesign@gmail.com with the items you'd like to purchase and your address and we will send you a custom invoice. PAYMENT / We gladly accept Visa, MasterCard, Discover, American Express and Paypal. PROCESSING TIME / All orders will ship out within 2 business days. SHIPPING / DOMESTIC ORDERS: All T-shirts and Blotter Art will ship via USPS First Class Mail and will generally arrive within 2-5 business days. INTERNATIONAL ORDERS / All orders will be shipped USPS First Class Mail and will arrive within 6-10 business days. 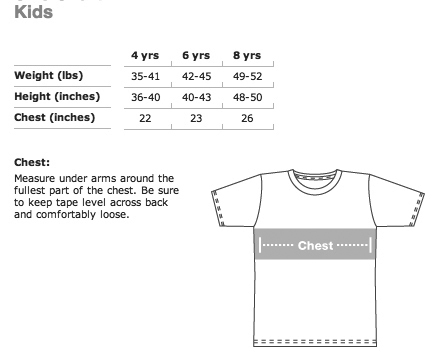 TRACKING YOUR ORDER / A tracking number will be provided via email for orders shipped with USPS Priority Mail. Click here to track your package. If you haven't received an email with your tracking number after 3 business days of placing your order please email us at sipsdesign@gmail.com. RETURNED PACKAGES / Please make sure to provide us with your correct shipping address. If a package is returned to us, the customer assumes the responsibility to pay shipping to have it re-delivered at the correct address. 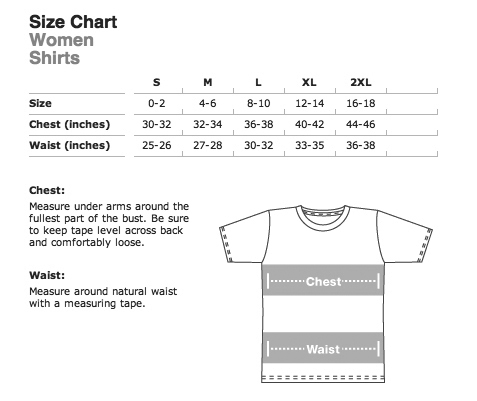 SIZE CHARTS / All our shirts are printed on American Apparel. 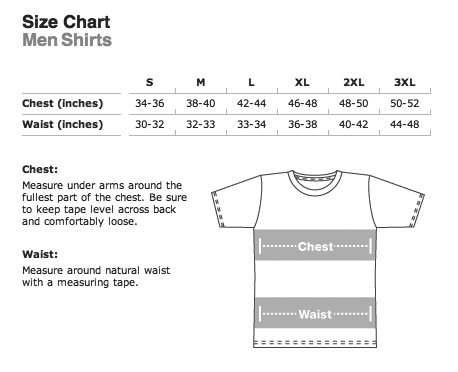 These shirts tend to run small, please use the size charts below to ensure you order the correct size. ALL SALES ARE FINAL / If you are disappointed with your order for any reason, please contact us at sipsdesign@gmail.com and we will reach a resolution together.